The Plant has an excellent facility for Grinding. The facility covers both Grinding & Super Finishing Operations. 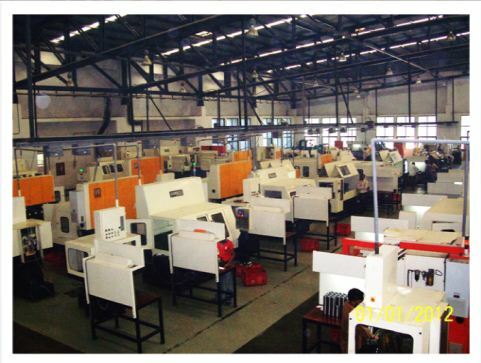 There are 10 manufacturing lines consisting of various machines which are capable to perform Face Grinding, Outer Diameter Grinding, Bore Grinding, External Grinding, Internal Grinding and Super finishing. The Plant also has the facility of Lip Honing which improves the Bearing’s life & performance significantly. JVR Bearings take utmost care of the factors that affect the Grinding process like Working environment, Grinding fluid, Grinding wheel dressing, Skill of operators, Measurement of different dimensions, etc. JVR Bearings have machines of renowned make like Gardner, Cincinnati, Heald, Bryant, Famir, LT, Landis, Addition, Beain etc., Different lines of machines have different range which produces Cylindrical Roller Bearing, Taper Roller Bearing, Spherical Roller Bearing, Ball Bearings etc,. The grinding capacity is up to 270mm diameter.